Plates, screws, nails and instruments for trauma and orthopaedic surgery, O’nil, Intrauma, Conical coupling. Intrauma designs, manufactures and distributes a wide range of internal fixators and trauma medical devices, in both Human and Veterinary field. 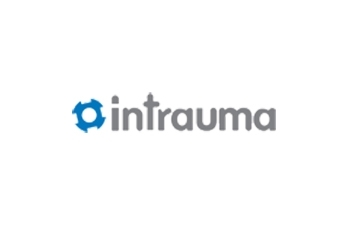 Founded in 2006, Intrauma product range has been designed in cooperation with Key Opinion Leaders and provides an innovative approach to the problems of trauma fixation. Intrauma locking internal fixators use a patented screw locking mechanism which provides advantages over traditional plates. A stable coupling between screws and plates is provided by bushings that are pre-assembled on the plate and that are conically coupled with the screws, thus ensuring also a simple removal of the screw, that can be removed both alone or still coupled with the bushing. This system ensures the distribution of the loads through the structure, eliminating the risk of Implant breakage, screws backing out and the possibility of cross threading the screw head in the plate. Beside the Internal Fixators, Intrauma produces Endomedullary Nails for the treatment of humeral, Femoral an Tibial fractures, that are complementary to the internal fixators. Intrauma is really active in R&D in the Trauma field, with growing attention to new technologies and to Orthobiologics. Medical devices: bone prostheses, synthetic bone graft substitutes and several instruments.